Before you know it, the 12 days if Christmas moves on to the re-heated lunch excitement of day 2. The sales are on and everyone is wondering just why they bought all that food. Back to the elephant. 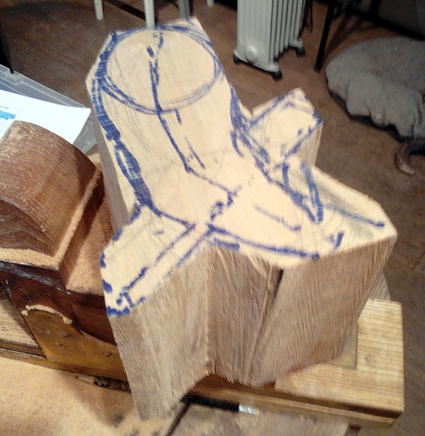 The first job is to remove the large chunks of wood to create the broad elephant shape. I may not be convincing you yet, but wait, it will all become clear. Not being overly religious, I have decided to celebrate the 12 days of Christmas in my own way, with the carving of an elephant. We start of course with day 1. This is a piece of lime wood. 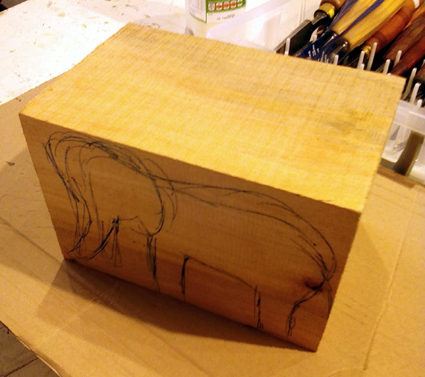 I started with nothing more than a sketch to give me the initial idea of where, within this block of wood, an elephant lies, waiting to be revealed.